Serenity at its best, enjoy this Portofino Villa Model, Open concept, 2 bedroom, 2 bath upgraded July 2015 with heartland walnut colored tile. Granite counter tops in the kitchen and bathrooms with under mount sinks. Both the Master and 2nd Bedroom have nice size walk-in closets. Covered Patio overlooks greenbelt. 2 Car Garage. You can walk or ride your bike to the Oakwood Country Club restaurant, golf, tennis, pool or other activities. 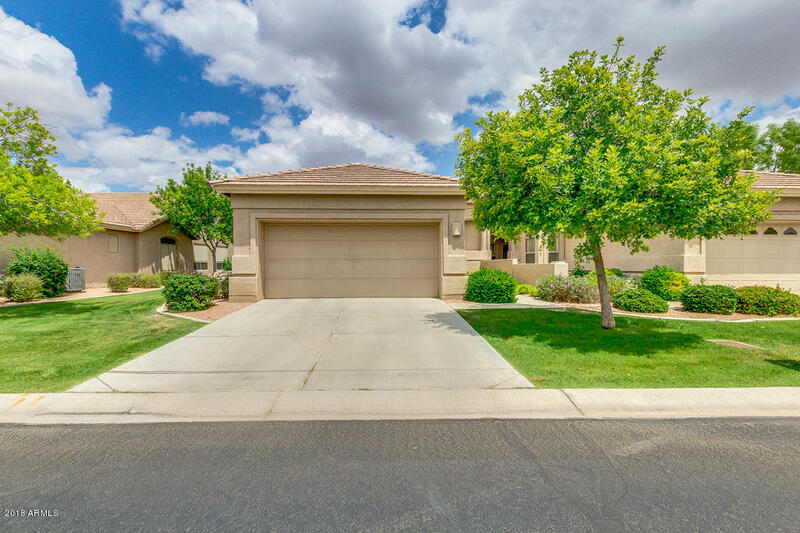 Easy access to I-10, 202 & 101 Loops, Chandler Mall & Sky Harbor & Mesa Gateway Airports.